GORILLA TOUGH FOR GORILLA SIZE GEAR. 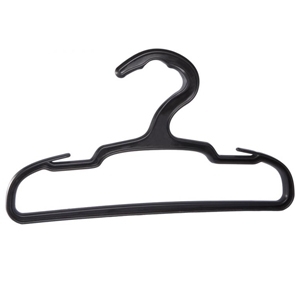 As its name implies, the Gorilla Hanger is made for hanging heavy or bulky outer gear such as wet suits, protective vests, snow gear, bunker gear, etc. The beefy wide hook makes it easy to carry the fully loaded hanger without damaging your hand. Wondering how to dry heavy gear? Slots imbedded in the shoulder keep straps from vests or pant suspenders from sliding to the ground. Bulky pants are easily draped over the bottom cross bar, due to the extra large central opening. Salt or fresh water will not corrode or harm the high impact resin from which the Gorilla hanger is molded. Rigid I-beam construction prevents the 1-inch thick frame from flexing and allows it to support over 50 pounds. The Gorilla Hanger is a definite must for organizing and protecting expensive sports and work gear by keeping it off the floor and out in the air for quick drying and storage.